Saturday in the Octave of Easter: "they did not believe"
Given all these testimonies, Christ's Resurrection cannot be interpreted as something outside the physical order, and it is impossible not to acknowledge it as an historical fact. It is clear from the facts that the disciples' faith was drastically put to the test by their master's Passion and death on the cross, which he had foretold. The shock provoked by the Passion was so great that at least some of the disciples did not at once believe in the news of the Resurrection. Far from showing us a community seized by a mystical exaltation, the Gospels present us with disciples demoralized ("looking sad") and frightened. For they had not believed the holy women returning from the tomb and had regarded their words as an "idle tale". When Jesus reveals himself to the Eleven on Easter evening, "he upbraided them for their unbelief and hardness of heart, because they had not believed those who saw him after he had risen." Thursday in the Octave of Easter: "Touch me and see"
as you can see I have. Even when faced with the reality of the risen Jesus the disciples are still doubtful, so impossible did the thing seem: they thought they were seeing a ghost. "In their joy they were still disbelieving and still wondering." Thomas will also experience the test of doubt and St. Matthew relates that during the risen Lord's last appearance in Galilee "some doubted." Therefore the hypothesis that the Resurrection was produced by the apostles' faith (or credulity) will not hold up. On the contrary their faith in the Resurrection was born, under the action of divine grace, from their direct experience of the reality of the risen Jesus. Easter Vigil: "O Night truly blessed"
O truly blessed Night, sings the Exsultet of the Easter Vigil, which alone deserved to know the time and the hour when Christ rose from the realm of the dead! But no one was an eyewitness to Christ's Resurrection and no evangelist describes it. No one can say how it came about physically. Still less was its innermost essence, his passing over to another life, perceptible to the senses. Although the Resurrection was an historical event that could be verified by the sign of the empty tomb and by the reality of the apostles' encounters with the risen Christ, still it remains at the very heart of the mystery of faith as something that transcends and surpasses history. This is why the risen Christ does not reveal himself to the world, but to his disciples, "to those who came up with him from Galilee to Jerusalem, who are now his witnesses to the people." Wednesday of Holy Week: "I am not disgraced"
Baptism is God's most beautiful and magnificent gift. . . .We call it gift, grace, anointing, enlightenment, garment of immortality, bath of rebirth, seal, and most precious gift. It is called gift because it is conferred on those who bring nothing of their own; grace since it is given even to the guilty; Baptism because sin is buried in the water; anointing for it is priestly and royal as are those who are anointed; enlightenment because it radiates light; clothing since it veils our shame; bath because it washes; and seal as it is our guard and the sign of God's Lordship. 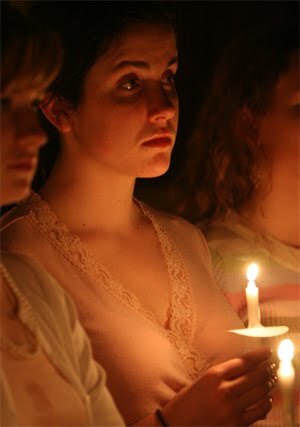 Tuesday of Holy Week: "I will make you a light to the nations"
... that my salvation may reach to the ends of the earth. 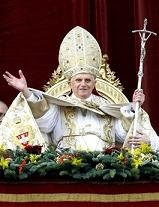 Monday of Holy Week: "Here is my servant"
"Father, not as I will, but as you will". We live in a society that glorifies a lack of commitment. You might even say that there is an epidemic of commitment-phobia. The ideal life is one, we are told, in which all options remain open to us at all times despite any promises or choices we may have made in the past. By necessity every choice we make eliminates other choices. I cannot stay up all night playing video games on Saturday and then get up refreshed and happy to attend holy Mass on Sunday in obedience to the commandment of God that thus I might remain in a state of grace. I cannot ask the person who is speaking to me to believe I am listening if I am texting while she talks. I cannot invest in real relationships if I spend my free time in the virtual world of the internet where I cannot even be sure someone has read my latest post on Facebook. I cannot sign up for Sunday sports programs and at the same time present myself as a Catholic Christian for whom the laws of God come first, and with them an open-ended lifetime commitment to keeping the Lord's Day holy by attendance at Mass on Sundays or on Saturday evenings for reasonable convenience. I cannot present myself as a public person in the church, taking leadership roles in the celebration of the liturgy, for example, and then pick and choose when I will join the Catholic community for worship, making myself God's equal because I have decided upon my own laws which conflict with those of God when my convenience or caprice comes first. And so upon reflection we can easily see that it is simply a matter of reason that some choices by necessity eliminate the possibility of other choices. Why, then, is it so often said, boastingly, "Well, I'm a Catholic but I decide what I will believe and what I will do." In our gospel for this Palm Sunday, however, we are presented with the true example of what it means for the human person to "choose" something. Jesus Christ chooses to love His Father God. God is good and God is love. This means that, no matter how difficult or contrary to what Jesus might think of love, such as sparing Himself the horror of dying the bloody and shameful death on the Cross, Christ chooses to do what His Father asks Him to do. And not only that, Jesus wills to do, desires to do, what His Father asks of Him. This is because Jesus loves the Father and that is the definition of love: to not only do what is asked but also to love doing what is asked for the love of the one who asks that thing of us. What kind of a world would we live in if every human being took out the trash, swept the floor, cooked the dinner, went to work each day, changed a diaper, fed the poor, talked to someone they didn't like, loved someone who hates them and loved doing it? And, even more stupendous, loved doing all these things and more not for their own sakes but for the sake of the other whom they serve as a privilege and not merely as a duty? It would be the kind of world in which everywhere around us we would see signs of God and signs of His love in the way that Christ showed love of His Father on the holy Cross. "Father, thy will be done." Jesus Christ is the perfect example of love because He is the perfect example of commitment. Choosing the will of the Father means at the same time persevering in the lifelong rejection of everything that is incompatible with or contrary to the Father's holy will. The Son, in order to choose the will of His Father, must reject everything else possible to him, including the very preservation of His own life, in the total sacrifice of Himself upon the Cross. This is the commitment greater than which it is not possible to imagine. This is the commitment which serves as the example and model for every other commitment and, in particular, the commitment of the Christian life to which we as Catholics were dedicated on our day of baptism and for which we renew our promises every time we recite the Creed each Sunday and also about which we pray in the "Our Father". To "think first of the one whom we love" is also to think first of doing as asked by the one we love even if it means a kind of death for ourselves in the rejection of our own will and our own desires. It also means rejection of the lie that we can choose some things which do not by necessity at the same time make certain other choices unavailable to us. The murder of Christ reminds us, by negative example, that we must be committed to life. God's command, "Thou shalt not kill" is absolute. There is no possibility of choosing murder for those who say they love God. It is very common today, for example, for some to believe they can be at the same time a Catholic Christian and yet vote for candidates who, and laws that, violate the sacredness of human life by promoting and funding abortion, abortifacient contraception and embryonic stem cell research. Some have forgotten that it is God who founded the Church and it is for that reason the Church must teach, as God does, that never under any circumstances is it possible to choose finances, the economy, research, personal convenience or any other thing in preference to the sacredness of every human life. "Do not kill" means precisely that: do not ever willingly choose to take another human life. Abortion, abortifacient contraception such as the pill, and stem cell research make just this choice. We cannot be Catholic and pro-abortion. We must commit either to the one or to the other. And if we receive communion after sinning against the sacredness of life we commit a sacrilege for the reason that this and every mortal sin must be forgiven in the sacrament of Confession before returning to sacramental Communion. Communion builds up the life of grace for a person in a state of grace after Baptism. Confession restores to the repentant soul a state of grace after serious, or mortal, sin. On this Palm Sunday, when we commemorate liturgically with love the death of the Lord, we commend ourselves to Mary our Mother, the Mother of the Crucified One, asking her to help us to be obedient to the will of the Father as was her Son unto death so that we, like her Son, might share in the Father's life and love unending. Saturday, Lent V: "Jesus was going to die"
Friday, Lent V: "the Father is in me"
Jesus asked the religious authorities of Jerusalem to believe in him because of the Father's works which he accomplished. But such an act of faith must go through a mysterious death to self, for a new "birth from above" under the influence of divine grace. Such a demand for conversion in the face of so surprising a fulfillment of the promises allows one to understand the Sanhedrin's tragic misunderstanding of Jesus: they judged that he deserved the death sentence as a blasphemer. The members of the Sanhedrin were thus acting at the same time out of "ignorance" and the "hardness" of their "unbelief". Thursday, Lent V: "whoever keeps my Word"
Wednesday, Lent V: "remain in my word"
By her very mission, "the Church . . . travels the same journey as all humanity and shares the same earthly lot with the world: she is to be a leaven and, as it were, the soul of human society in its renewal by Christ and transformation into the family of God." Missionary endeavor requires patience. It begins with the proclamation of the Gospel to peoples and groups who do not yet believe in Christ, continues with the establishment of Christian communities that are "a sign of God's presence in the world," and leads to the foundation of local churches. It must involve a process of inculturation if the Gospel is to take flesh in each people's culture. There will be times of defeat. "With regard to individuals, groups, and peoples it is only by degrees that [the Church] touches and penetrates them and so receives them into a fullness which is Catholic." The most beautiful things in the world, the most wonderful events in our lives are never really new: we have experienced the happy and contented feelings in very similar ways over and over again. The most wonderful things we can say, such as "I love you" are a repetition: we use the same words each time to express the same emotions for, in many cases, the same people: spouses, parents, children. Lazarus' resuscitation was greeted with astonishment by all who witnessed it. As wonderful an event as this surely was, as magnificent a display of divine power, it was a repetition: Lazarus was simply restored to the same earthly life he had been deprived of in death. All of us know well the cycle of repetition: favorite songs that, no matter how many times we listen, remain exactly the same, the people and roles to which we are committed, the cycle of rising, work and play, meals and rest. There is much repetition in the lives of each one of us. If this is true, why is repetition so often used as a negative critique of the prayer of holy Mass? It turns out that words in this case, no matter how seemingly repetitive, in fact put us in touch with the only new and un-repeatable reality in the world: Jesus Christ Risen. Jesus Christ's victory over the grave is the only new thing the world has ever seen. The power which restored earthly life to Lazarus is not a repetition of something else you or I have experienced before; it is an entirely new and different reality. All begins with the birth of the Christ who grew up to become the friend of Lazarus. Christ Himself prayed to the Father as we do, using the same words as we. He prayed before raising Lazarus. 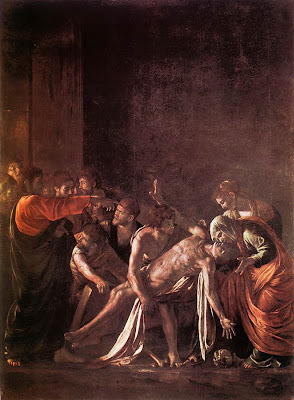 "The second prayer, before the raising of Lazarus, is recorded by St. John. Thanksgiving precedes the event: "Father, I thank you for having heard me," which implies that the Father always hears his petitions. Jesus immediately adds: "I know that you always hear me," which implies that Jesus, on his part, constantly made such petitions. Jesus' prayer, characterized by thanksgiving, reveals to us how to ask: before the gift is given, Jesus commits himself to the One who in giving gives himself. The Giver is more precious than the gift; he is the "treasure"; in him abides his Son's heart; the gift is given "as well." The Father always hears the Son. We have received His Spirit which makes us one with Him. The Father always hears us when we pray the perfect prayer of the Lord Jesus in holy Mass. If we want more than this world offers, as was given to Lazarus a second time when Christ restored him to earthly existence, we must share in the person of the Son who alone grants access to the life of the Father which never ends. True access to the Son and His eternal communion with the Father is shared most fully through the prayer of holy Mass. The word "Christ" comes from the Greek translation of the Hebrew Messiah, which means "anointed". It became the name proper to Jesus only because he accomplished perfectly the divine mission that "Christ" signifies. In effect, in Israel those consecrated to God for a mission that he gave were anointed in his name. This was the case for kings, for priests and, in rare instances, for prophets. This had to be the case all the more so for the Messiah whom God would send to inaugurate his kingdom definitively. It was necessary that the Messiah be anointed by the Spirit of the Lord at once as king and priest, and also as prophet. Jesus fulfilled the messianic hope of Israel in his threefold office of priest, prophet and king. Friday, Lent IV: "God is his Father"
In the last petition, "but deliver us from evil," Christians pray to God with the Church to show forth the victory, already won by Christ, over the "ruler of this world," Satan, the angel personally opposed to God and to his plan of salvation. 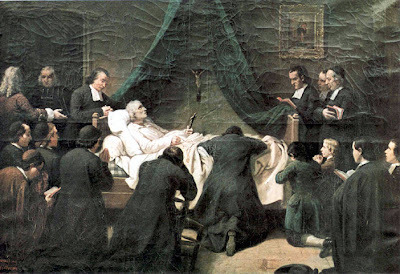 S John Baptist de la Salle: "My child"
The witnesses who have preceded us into the kingdom, especially those whom the Church recognizes as saints, share in the living tradition of prayer by the example of their lives, the transmission of their writings, and their prayer today. They contemplate God, praise him and constantly care for those whom they have left on earth. When they entered into the joy of their Master, they were "put in charge of many things." Their intercession is their most exalted service to God's plan. We can and should ask them to intercede for us and for the whole world. Wednesday, Lent IV: "He also called God his own father"
Jesus revealed that God is Father in an unheard-of sense: He is Father not only in being Creator; he is eternally Father in relation to his only Son, who is eternally Son only in relation to his Father: "No one knows the Son except the Father, and no one knows the Father except the Son and anyone to whom the Son chooses to reveal him." Tuesday, Lent IV: "I saw water"
1225 In his Passover Christ opened to all men the fountain of Baptism. He had already spoken of his Passion, which he was about to suffer in Jerusalem, as a "Baptism" with which he had to be baptized. The blood and water that flowed from the pierced side of the crucified Jesus are types of Baptism and the Eucharist, the sacraments of new life. From then on, it is possible "to be born of water and the Spirit" in order to enter the Kingdom of God. Monday, Lent IV: "there shall always be rejoicing"
Some years ago, now a period of more than two generations, an earthquake rattled the 2000-year-old edifice of the Church. Some called this ground-shaking experience the "spirit of Vatican II" and others called it a very risky business, involving as it did in many places the sweeping away of many traditions and customs in the Church, like a tsunami which leaves the earth bare, denuded and unrecognizable to those who once called it home. 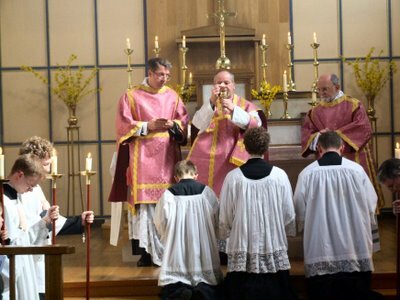 One of the customs that some thought it necessary to eliminate was the Church's expression of joy on this day which we call Laetare, or "Rejoice", Sunday in the use of rose-colored vestments, more elaborate music and flowers in the midst of the liturgical desert of Lent, bereft as it is of Alleluias and Glorias. Often, young priests found themselves in conflict with an older generation if they wished to explore the potential of this and other customs that help to explain and to make more tangible the mysteries of our Faith. Now this custom is reappearing in many places, embraced anew by a younger generation who are joyfully discovering for themselves the riches of our holy Faith. Thankfully, many of these generational conflicts are now a thing of the past and there is more concern about crucial issues: how to bring lapsed and alienated Catholics back into the fold through the New Evangelization, how to encourage families to use the sacraments properly, attending Mass on Sundays and celebrating confession for the forgiveness of mortal sins before reception of the Eucharist, for example. There are new movements in the Church that are very effective in promoting and safeguarding the sacrament of marriage and a plethora of orthodox programs to attract our young people to more deeply and authentically living and celebrating our Faith. Which brings us to right here and right now. We are a people who celebrate, who have cause for rejoicing even in Lent. Every Sunday throughout the year is a little Easter and we remember this fact more powerfully today. 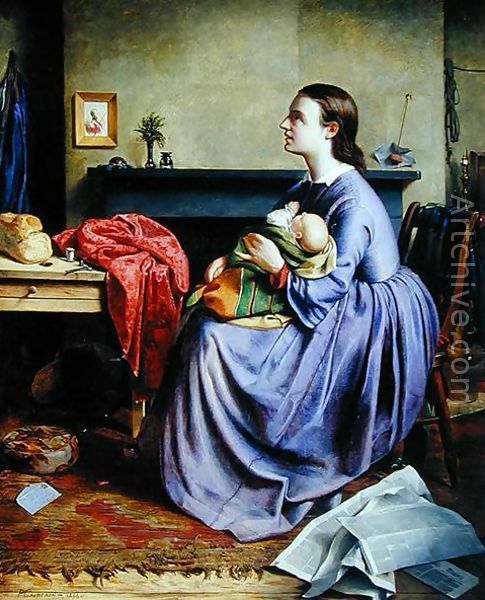 In only three weeks we will make this ancient cry of joy in the Church our own once again: "This is the day which the LORD has made; let us rejoice and be glad in it"
Some of us might be lagging a little bit in our Lenten journey of fast, abstinence and almsgiving at this point of the fourth Sunday in our forty-day observance. As with any journey, it is the goal we seek which makes all of the suffering worthwhile along the way. I recently ran in the National Marathon. I am unable to count the number of times during that often painful trek that I thought of and imagined in my mind what the finish line must look like, where my parents had promised they would be waiting for me. I did reach that goal, and the hugs I received from my mother and father were among the most beautiful I can remember in my life. All of us have been given the Faith so that the goal of life eternal will be real and tangible for us. We touch the goal every time we receive Christ worthily and lovingly in the Eucharist, every time we fully and honestly confess our mortal sins in confession, every time we reach out in love, without judgment and with compassion, to the others that God has placed in our lives.
" 'Let the hearts of those who seek the LORD rejoice.' Although man can forget God or reject him, He never ceases to call every man to seek him, so as to find life and happiness. But this search for God demands of man every effort of intellect, a sound will, 'an upright heart', as well as the witness of others who teach him to seek God. Jesus rose. We remember Him in this way every Sunday, as we do today through the bright rose color which the Church wears in the midst of penitential violet in the Lenten season. He truly goes before us to show us the way and promises us a share in His life eternal which we touch and which we receive already through His holy Church in Word and sacrament. Jesus gives Himself for mercy. He "for-gives" us each time we approach Him in sorrow, he gives Himself back to we who have rejected Him in the evil we have done through the sacrament which restores the joy of our youth and enables us to approach His holy altar, receiving Communion worthily, attentively and devoutly. And we "re-joy", we receive in Christ once again the gift of joy because through this inestimable gift of the holy Mass we are able to give ourselves to Him in love who first gave Himself for us. He rose, giving Himself for mercy, and we rejoice. S Francis of Paola: "he will raise us up"
Friday, Lent III: "You shall love the Lord"
By charity, we love God above all things and our neighbor as ourselves for love of God. Charity, the form of all the virtues, "binds everything together in perfect harmony" (Col 3:14).